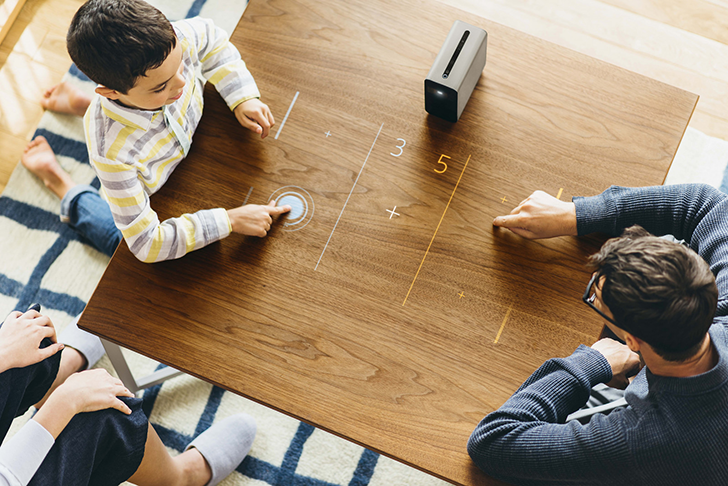 Sony first showed off its touchscreen projector concept at Mobile World Congress 2016, and it was released in Europe earlier this year as the 'Xperia Touch.' It finally came to the United States earlier this month, but with a price tag of $1,699.99, it was a pretty hard sell. If you are one of the people who bought this (I am very jealous), you'll be happy to know that Sony is rolling out Android 7.1.1 to it. The projector originally shipped with Android 7.0, so this isn't much of a change, but Sony has included a few additional tweaks. Owners can now use physical gestures to perform actions, like waving your hand to emulate swipes and toggling mute by holding your finger to your lips. The update also includes new Keystone correction settings, ALAC audio support, and improvements to portrait mode and the Presence sensor. You can find more information at the source link below.